HTS Global AG is one of the leading manufacturers of high-performance heat tracing cables in the world. 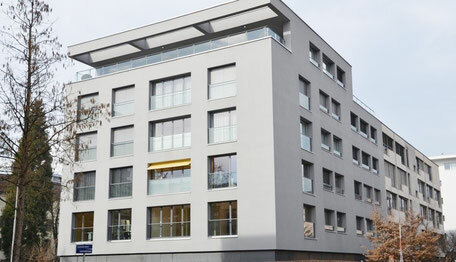 From our headquarters in Switzerland, we successfully cater to major and niche markets worldwide. Due to our sophisticated network of international subsidiaries and distributors, we can ensure prompt deliveries and unique customer service for the entire range of our heat tracing products. At HTS Global AG, we are proud to offer our customers the full spectrum of heat tracing solutions designed to meet all possible heating needs in the renowned Swiss quality. Made in Switzerland, all of our technically advanced and innovative self-regulating heating cables fully comply with all international quality standards (ATEX, IECEx, EAC). Adhering to these norms allows our customers to apply our products not only in safe areas but in challenging and hazardous environments, including in the industrial and the construction sectors. HTS Global AG is committed to customer-focused product innovation. Being part of a major iinternational private equity group, we can invest in research and development continuously. Therefore, all of our products echo the latest technological advancements, which aids our customers to adapt to changing demands in their sectors promptly. Our specialists are just one phone call away and are always happy to assist you. According to your needs, our staff will ascertain which of our products best meets your demands and budget by reviewing environmental, technological and circumstantial requirements of your intended area of application.